1972-1986 Jeep® CJ 15 gallon rear tank sending unit. Includes new lock ring, O-ring and in-tank fuel filter(CJFF-1). Replaces # 5357373. CJSU-2 1945-1964 Jeep® CJ 2A, 3A and early 3B(up to serial #39838) sending unit. Includes 5-hole gasket. Replaces # 640684. Ohm range: Full 7-9, Empty 130-140. CJSU-3 1955-1972 Jeep® late CJ3B(serial #39838 & later), CJ5, CJ6 sending unit. Includes new 6-hole gasket. Replaces # 914850. Ohm range: Full 8.5-10.5, Empty 70-80. CJSU-4 1965-1972 Jeep® CJ5, CJ6 lock ring style sending unit, without the return line. In-line fuel filter recommended. Includes new lock ring and O-ring. Replaces # 948697. CJSU-6 1965-1971 Jeep® CJ5, CJ6 lock ring style sending unit with V-6, with return line. In-line fuel filter recommended. Includes new lock ring and O-ring. Replaces # 948696. CJSU-20 1981-1986 Jeep® CJ OEM 20 gallon factory "plastic" tank sending unit. Includes new O-ring and in-tank fuel filter(CJFF-1). Replaces # 5362090. Ohm range: Full 5-9, Empty 76-86. CJSUXL-1 1972-1986 Jeep® CJ 21 gallon rear tank sending unit for MTS 0050XL and 0051XL gas tanks only. In-line fuel filter is recommended. Includes new lock ring and O-ring. YJSU-1 1987-1990 Jeep® Wrangler YJ 15 gallon gas tank sending unit with fuel injection without pump. Includes new lock ring and O-ring. Replaces # 83502990. Ohm range: Full 86-90, Empty 0-3. YJSU-1P 1987-1990 Jeep® Wrangler YJ 15 gallon gas tank sending unit with fuel injection with pump. Includes new lock ring and O-ring. YJSU-2 1987-1990 Jeep® Wrangler YJ 15 gallon gas tank sending unit for NON-fuel injection(carbureted) engines. Includes new lock ring and O-ring. Replaces # 83502956. YJSU-20NFI 1987-1990 Jeep® Wrangler YJ 20 gallon "PLASTIC" gas tank sending unit for NON-fuel injection(carbureted) engines. Includes new gasket. Replaces # 53003341. YJSU-20 1991-1995 Jeep® Wrangler YJ 20 gallon gas tank sending unit with fuel injection without pump. Includes new gasket. Replaces # 5003861. YJSU-20F 1991-1995 Jeep® Wrangler YJ 20 gallon gas tank sending unit with fuel injection with pump. Includes new gasket. JPSU-1 1962-1979 Jeep® J-truck 18 gallon "top mounted" gas tank sending unit. Includes new lock ring, O-ring and in-tank fuel filter(JPFF-1). Replace # 535677. JPSU-3 1979-1985 Jeep® J-truck 18 gallon "front mounted" gas tank sending unit. Includes new O-ring and in-tank fuel filter(CJFF-1). Replaces #'s 5359793 and 5363977. JPSU-4 1986-1987 Jeep® J-truck 18 gallon "front mounted" gas tank sending unit. Includes new O-ring and in-tank fuel filter(CJFF-1). Replaces # 53003201. 1986 Jeep® Comanche MJ 18 & 23.5 gallon "side mounted" gas tank sending unit for carbureted (non-fuel injected) and 1986-1987 diesel engines. Includes new lock ring, O-ring and in-tank fuel filter(UVFF-38). Replaces # 52003644, 52003671, 53002490, 52003652, 53002492. JWSU-1 1970-1979 Jeep® Wagoneer/Cherokee 21 gallon gas tank sending unit. Includes new lock ring and O-ring. Replaces # 5361468. JWSU-3 1986-1991 Jeep® Grand Wagoneer gas tank sending unit. Includes new O-ring and in-tank fuel filter. Replaces #'s 53006586 and 53003099. 1981-1983 Jeep® Cherokee & Wagoneer SJ gas tank sending unit for carbureted (non-fuel injected) engines. Includes new O-ring and in-tank fuel filter(CJFF-1). Replaces # J5363490. 1984-1986 Jeep® Cherokee/Wagoneer XJ 13.5 & 20.2 gallon "side mounted" gas tank sending unit for carbureted (non-fuel injected) and 1984-1987 diesel engines. Includes new lock ring, O-ring and in-tank fuel filter(UVFF-38). Replaces # 52003062, 52003647. JCSU-8790 1987-1990 Jeep® Cherokee gas tank sending unit with fuel injection without fuel pump. Includes new lock ring and O-ring. Ohm range: Full 80-90, Empty 0-5. JCSU-8790P 1987-1990 Jeep® Cherokee gas tank sending unit with fuel injection with fuel pump. Includes new lock ring, O-ring and in-tank fuel filter. JCSU-9193 1991-1993 Jeep® Cherokee gas tank sending unit with fuel injection without fuel pump. Includes new lock ring and O-ring. Replaces # 4637003. Ohm range: Full 0-5, Empty 100-110. 1991-1993 Jeep® Cherokee gas tank sending unit with fuel injection with fuel pump. Includes new lock ring, O-ring and in-tank fuel filter. JFSU-150 1955-1965 Willys®/Jeep® FC-150 truck sending unit for bedside tank with 81" wheelbase. Includes new 6-hole gasket. Replaces# 914852. JFSU-170 1957-1965 Willys®/Jeep® FC-170 truck sending unit for rear tank with 103" wheelbase. Includes new 6-hole gasket. Replaces # 912760. JPSU-2 1947-1963 Willys® pickup 14 gallon gas tank sending unit. Includes new 6-hole gasket. Replaces # 914849. JWSU-2 1946-1963 Willys® steel body wagon and 1948-1951 Willys® Jeepster 15 gallon gas tank sending unit. Includes new 6-hole gasket. Replaces # 914848. JCSU-C101 1966-1971 Jeep® C-101 Jeepster Commando 12 and 14 gallon gas tank sending unit without return line*. Includes new 6-hole gasket. Replaces # 635641*. JCSU-C101WR 1966-1971 Jeep® C-101 Jeepster Commando 12 and 14 gallon gas tank sending unit with return line*. Includes new 6-hole gasket. Replaces # 944890. JMSU-MB/GPW 1941-1945 Jeep® Army/Military sending unit. Includes new 5-hole gasket. Replaces # A-1292. TLSU-1 9/1973-12/1978 Toyota® Landcruiser FJ-40, FJ45 and BJ sending unit. Includes new 5- hole gasket. Replaces # 8332060050. IHSU-1 **NEW** 1961-1968 International Harvester® Travelall, Travelette, C-Series Pickup Left and right gas tank sending unit. Includes new lock ring and O-ring. Replaces # 232282R91, 167079R1. IHSU-2 **NEW** 1950-1957 International Harvester® L, R and S-Series Pickup gas tank sending unit. Includes new 6-hole gasket. Ohm range: Full 8-10, Empty 70-80. SCSU-1B 1961-1971 International Scout® 80/800 12 gallon left or right side gas tank sending unit. Includes new 6-hole gasket. After serial #FC35340. Replaces # 860097R91. SCSU-2 1972-1980 International Scout® II 19 gallon gas tank sending unit. Includes new lock ring, O-ring and in-tank fuel filter. Replaces # 402522C2. FMSU-5DE 1987-1989 Ford® Full-Size Pickup 19 gallon DIESEL ONLY (front, side, midship)tank sending unit. Does NOT include a filter, but it does include a new lock ring and O-ring. FMSU-5DER 1987-1989 Ford® Full-Size Pickup 19 gallon DIESEL ONLY (rear)tank sending unit. Includes a new lock ring and O-ring but does NOT include the in-tank fuel filter. FMSU-6DE 1985-1986 Ford® Full-Size Pickup 19 gallon DIESEL ONLY (front, side, midship)tank sending unit. Does NOT include a filter, but it does include a new lock ring and O-ring. FMSU-6DER 1985-1986 Ford® Full-Size Pickup 19 gallon DIESEL ONLY (rear)tank sending unit. Includes a new lock ring and O-ring but does NOT include the in-tank fuel filter. 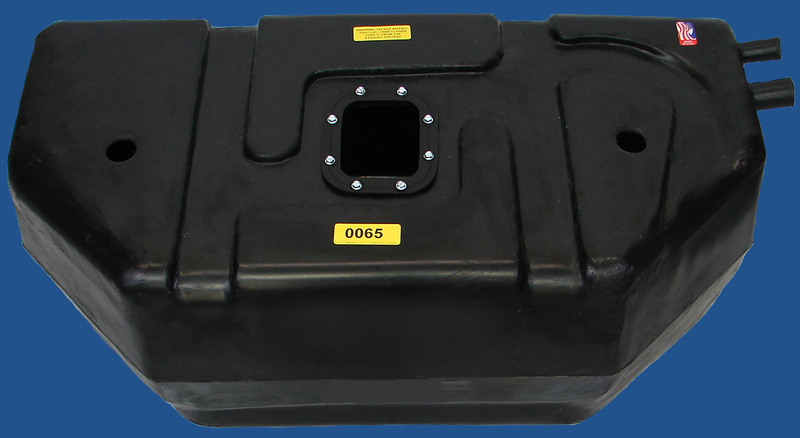 FMSU-7DE **NEW** 1990-1991 Ford® Full-Size Pickup 19 gallon DIESEL ONLY (front, side, midship)tank sending unit. Does NOT include a filter, but it does include a new lock ring and O-ring. FMSU-7DER **NEW** 1990-1991 Ford® Full-Size Pickup 19 gallon DIESEL ONLY (rear)tank sending unit. Does NOT include a filter, but it does include a new lock ring and O-ring. FMSU-8DE **NEW** 1992-1993 Ford® Full-Size Pickup 19 gallon DIESEL ONLY (front, side, midship)tank sending unit. Does NOT include a filter, but it does include a new lock ring and O-ring. FMSU-8DER **NEW** 1992-1993 Ford® Full-Size Pickup 19 gallon DIESEL ONLY (rear)tank sending unit. Does NOT include a filter, but it does include a new lock ring and O-ring. FMSU-9DE **NEW** 1994-1996 Ford® Full-Size Pickup 19 gallon DIESEL ONLY (front, side, midship)tank sending unit. Does NOT include a filter, but it does include a new lock ring and O-ring. FMSU-9DER **NEW** 1994-1997 Ford® Full-Size Pickup 19 gallon DIESEL ONLY (rear)tank sending unit. Does NOT include a filter, but it does include a new lock ring and O-ring. This is a 40 gallon diesel REAR tank sending unit and is installed with 6 bolts, not a lock ring. Includes new O-ring specific to your tank, it does not include the in-tank "funnel" filter. This is a 3 pipe sending unit utilizing the same quick connect design as OEM - pipe I.D. measurements: Fuel pickup - 3/8", fuel return - 5/16" and - 1/8" diameter. 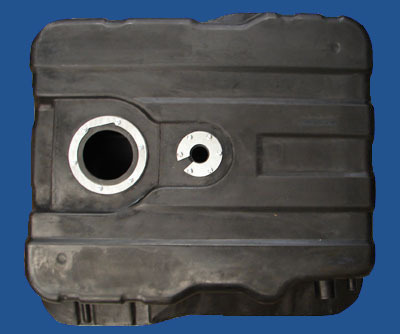 When ordering the sending unit, please specify if you have the original metal tank or our 4740A plastic tank. FMSU-2 1973-1984 Ford® Full-Size Pickup 19 gallon rear mounted gas tank sending unit. Includes new lock ring, O-ring and in-tank fuel filter. FMSU-3 1980-1984 Ford® Full-Size Pickup 19 gallon GAS(front, side, midship)tank sending unit. Includes new lock ring, O-ring and in-tank fuel filter. Replaces # E0TZ9275G. FMSU-17E 1980-1984 Ford® Full-Size Pickup 17 gallon gas(front, side, midship)tank sending unit without fuel injection. Includes new lock ring, O-ring and in-tank fuel filter. Replaces # E0TZ9275F. FMSU-4B 1987-1989 Ford® Full-Size Pickup 19 gallon rear gas tank (not diesel) sending unit with fuel injection without pump. Includes new lock ring and O-ring. Replaces #'s E5TZ94307B, E5TZ9H307BA. FMSU-4BP 1987-1989 Ford® Full-Size Pickup 19 gallon rear gas tank (not diesel) sending unit with fuel injection with pump. Includes new lock ring, O-ring and in-tank fuel filter. FMSU-5B 1987-1989 Ford® Full-Size Pickup 19 gallon gas(front, side, midship) tank sending unit with fuel injection without pump. Includes new lock ring and O-ring. Replaces #'sE7TZ9H307B and E7TZ9H307BA. FMSU-5BP 1987-1989 Ford® Full-Size Pickup 19 gallon gas(front, side, midship)tank sending unit with fuel injection with pump. Includes new lock ring, O-ring and in-tank fuel filter. FMSU-5E 1985-1986 Ford® Full-Size Pickup 19 gallon gas(front, side, midship)tank sending unit with fuel injection without pump for 7.4L, 460 cu. in. engine ONLY. Includes new lock ring and O-ring. Replaces # E5TZ9H307C. FMSU-5EP 1985-1986 Ford® Full-Size Pickup 19 gallon gas(front, side, midship)tank sending unit with fuel injectin with pump for 7.4L, 460 cu. in. engine ONLY. Includes new lock ring, O-ring and in-tank fuel filter. FMSU-6 **NEW** 1985-1986 Ford® Full-Size Pickup 19 gallon gas(front, side, midship)tank sending unit with fuel injection without pump. Includes new lock ring and O-ring. FMSU-6P **NEW** 1985-1986 Ford® Full-Size Pickup 19 gallon gas(front, side, midship)tank sending unit with fuel injection with pump. Includes new lock ring, O-ring and in-tank fuel filter. FMSU-6R **NEW** 1985-1986 Ford® Full-Size Pickup 19 gallon rear gas tank (not diesel) sending unit with fuel injection without pump. Includes new lock ring and O-ring. FMSU-6RP **NEW** 1985-1986 Ford® Full-Size Pickup 19 gallon rear gas tank (not diesel) sending unit with fuel injection with pump. Includes new lock ring, O-ring and in-tank fuel filter. FMSU-1 1966-1976 Ford® Bronco gas tank sending unit for 11 gallon front auxiliary and 13 gallon rear tank. Includes new lock ring, O-ring and in-tank fuel filter. Replaces #'s C6TZ9275D and D7T29275F. FMSU-33E 1978-1984 Ford® Full-Size Bronco 33-gallon gas tank sending unit with 2" hole. Includes new lock ring, O-ring and in-tank fuel filter. Replaces # D8TZ9275C. FMSU-4500A 1984 Ford® Bronco II 23 gallon gas tank sending unit without fuel injection. Includes new lock ring and O-ring. Replaces # E4TZ9275B. FMSU-4600C 1985 Ford® Bronco II 23 gallon rear gas tank (not diesel) sending unit without fuel injection. Includes new lock ring, O-ring and in-tank fuel filter. Replaces # E9TZ9H307D. GMSU-1 1971-1972 Chevy® Full-Size Blazer/Suburban 21 gallon gas tank sending unit with 90-0 OHM range. Includes new lock ring, O-ring and in-tank fuel filter. GMSU-1A 1971-1972 Chevy® Full-Size Blazer 21 gallon gas tank sending unit with 60-0 OHM range. Includes new lock ring, O-ring and in-tank fuel filter. GMSU-2534 1988-1995 Chevy/GMC® Full-Size Pickup 25 and 34 gallon gas tank (not diesel) sending unit with fuel injection without pump. Includes new lock ring and O-ring. GMSU-2534P 1988-1995 Chevy/GMC® Full-Size Pickup 25 and 34 gallon gas tank (not diesel) sending unit with fuel injection with pump. Includes new lock ring, O-ring and in-tank fuel filter. GMSU-2534A 1996-1997 Chevy/GMC® Full-Size Pickup 34 gallon gas tank (not diesel) sending unit with fuel injection without pump for 5.7L or 7.4L engine, Excecutive cab and chasis. Includes new lock ring and O-ring. GMSU-2534AP 1996-1997 Chevy/GMC® Full-Size Pickup 34 gallon gas tank (not diesel) sending unitwith fuel injectin with pump for 5.7L or 7.4L engine, Excecutive cab and chasis. Includes new lock ring, O-ring and in-tank fuel filter. GMSU-25B4 1982-1986 Chevy/GMC® Full-Size Blazer/Suburban 25 gallon gas tank (not diesel) 4-pipe sending unit without fuel injection. Includes new lock ring, O-ring and in-tank fuel filter. GMSU-2L 1973-1986 Chevy/GMC® Full-Size Pickup 16 and 20 gallon gas tank (not diesel) sending unit, left hand (driver side). Includes new lock ring, O-ring and in-tank fuel filter. GMSU-2R 1973-1986 Chevy/GMC® Full-Size Pickup 16 and 20 gallon gas tank (not diesel)sending unit, right hand (passenger side). Includes new lock ring, O-ring and in-tank fuel filter. GMSU-31C4 1973-1977 Chevy/GMC® Full-Size Blazer/Suburban 31 gallon gas tank (not diesel) 4-pipe sending unit without fuel injection. Includes new lock ring, O-ring and in-tank fuel filter. GMSU-SUB42 1992-1997 GMC® Suburban 42 gallon gas tank (not diesel) sending unit with fuel injection without pump. Includes new lock ring and O-ring. GMSU-SUB42P 1992-1997 GMC® Suburban 42 gallon gas tank (not diesel) sending unit with fuel injection with pump. Includes new lock ring, O-ring and in-tank fuel filter. GMSU-BN 1992-1994 Chevy® Big Blazer, 1995 and 1997 Chevy Tahoe, 1992-1995 and 1997 Yukon 42 gallon gas tank sending unit with fuel injection without pump. Includes new lock ring and O-ring. GMSU-BNP 1992-1994 Chevy® Big Blazer, 1995 and 1997 Chevy Tahoe, 1992-1995 and 1997 Yukon 42 gallon gas tank sending unit with fuel injection with pump. Includes new lock ring, O-ring and in-tank fuel filter. GMSU-S10BA 1992-1994 Chevy® S-10 Blazer 20 gallon gas tank sending unit with fuel injection without pump for 4.3L engine with a "W" in the VIN# (8TH DIGIT). Includes new lock ring and O-ring. GMSU-S10BAP 1992-1994 Chevy® S-10 Blazer 20 gallon gas tank sending unit with fuel injection with pump for 4.3L engine with a " W" in the VIN#(8TH DIGIT). Includes new lock ring, O-ring and in-tank fuel filter. GMSU-S10BB 1985-1991 Chevy® S-10 Blazer 20 gallon gas tank sending unit with fuel injection without pump for 2.5L, 2.8L and 4.3L engines. Includes new lock ring and O-ring. GMSU-S10BBP 1985-1991 Chevy® S-10 Blazer 20 gallon gas tank sending unit with fuel injection with pump for 2.5L, 2.8L and 4.3L engines. Includes new lock ring, O-ring and in-tank fuel filter. GMSU-S10BC 1983-1984 Chevy® S-10 Blazer 20 gallon gas tank sending unit without fuel injection for 1.9L and 2.0L engines. Includes new lock ring, O-ring and in-tank fuel filter. GMSU-S10BD 1992-1994 Chevy® S-10 Blazer 20 gallon gas tank sending unit with fuel injection without pump for 4.3L engines with a "Z" in the VIN# (8TH DIGIT). Includes new lock ring and O-ring. GMSU-S10BDP 1992-1994 Chevy® S-10 Blazer 20 gallon gas tank sending unitwith fuel injection with pump for 4.3L engines with a "Z" in the VIN# (8TH DIGIT). Includes new lock ring, O-ring and in-tank fuel filter. GMSU-S10PA 1992-1995 Chevy® S-10 Pickup 20 gallon gas tank sending unit with fuel injection without pump for 4.3L engine with harness codes: SEN,SEZ,VPW,VPX. Includes new lock ring and O-ring. GMSU-S10PAP 1992-1995 Chevy® S-10 Pickup 20 gallon gas tank sending unit with fuel injection with pump for 4.3L enigne with harness codes: SEN,SEZ,VPW,VPX . Includes new lock ring, O-ring and in-tank fuel filter. GMSU-S10PB 1988-1991 Chevy® S-10 Pickup 20 gallon gas tank sending unit with fuel injection without pump for 4.3L engine. Includes new lock ring and O-ring. GMSU-S10PBP 1988-1991 Chevy® S-10 Pickup 20 gallon gas tank sending unit with pump for 4.3L engine. Includes new lock ring, O-ring and in-tank fuel filter. GMSU-S10PE 1985-1987 Chevy S-10 Pickup 20-gallon gas tank sending unit for 2.5L and 1986-1987 Chevy S-10 2.8L. 4-pipe, with fuel injection, without fuel pump. Includes new lock ring and O-ring. GMSU-S10PEP 1985-1987 Chevy S-10 Pickup 20-gallon gas tank sending unit for 2.5L and 1986-1987 Chevy S-10 2.8L. 4-pipe, with fuel injection, with fuel pump. Includes new lock ring and O-ring.